If you've invested in a new Windows Phone 8 device and you're worried about being left high and dry when the next major operating system update arrives, Microsoft's Greg Sullivan says you can rest easy. Speaking to PCMag and others at Mobile World Congress, the senior marketing manager suggested that Microsoft is focusing on walking the walk without wasting time on talking the talk, so to speak. It's noted that Microsoft has had a scarce presence at this year's event, having not even hosted a MWC press conference. Instead, the company has spent most of its effort holding upwards of eight partner meetings a day at a nearby Barcelona hotel. PCMag quotes Sullivan as saying that Microsoft has a new commitment to "shut up and ship," adding that the company "[isn't] going to do this thing where we announce the next version [of Windows Phone] months and months before it's available." Sullivan said that he wouldn't be surprised to see some "exciting devices" and "more interoperability" over the coming months before Microsoft starts talking about what operating system will be released next. However, whatever that platform is, the company plans to ensure Windows Phone 8 devices will have an upgrade path, unlike Windows Phone 7 handsets, which were ditched with the arrival of WP8. He explained that WP7 products were hampered by limited specifications including a single-core processor that made them difficult to advance upon, but WP8 is more flexible. 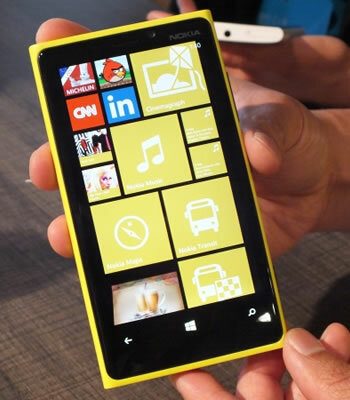 "Windows Phone 8 can evolve. We have an architecture that enables portability and is fundamentally hardware independent," Sullivan said. "As the market evolves and customer requirements demand it, we'll evaluate options." Microsoft plans to unleash an update in mid-May for its mobile operating system call WP8 "GR2," which will be installed outright on the upcoming HTC Tiara. Microsoft's next significant update is expected to arrive this summer as "Windows Blue," which is said to include various enhancements for Windows 8, RT, Server 2012 and Windows Phone 8, and may cover Sullivan's mention of improved interoperability.